Product #20835 | SKU SCR31S | 0.0 (no ratings yet) Thanks for your rating! Ideal for speech and vocal capturing during performances etc. 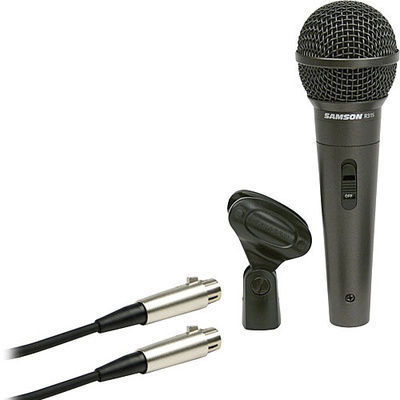 The Samson R31S Handheld Microphone is ideal for speech and vocal capturing during performances, public speech or recording. The capsule's cardioid polar pattern is most effective in minimising off-axis feedback and noise from adjacent instruments, monitor speakers etc. The audio quality and frequency response is well suited for reproducing vocals and the On/Off switch enhances flexibility. An XLR to 1/4"cable and microphone clip are included. The capsule's hypercardioid polar pattern is most effective in minimising off-axis feedback and noise from adjacent instruments, monitor speakers etc.